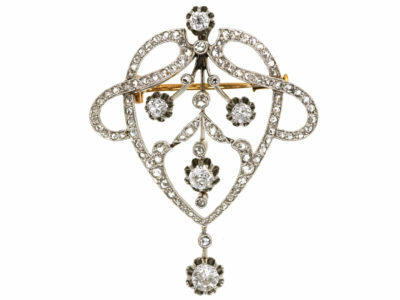 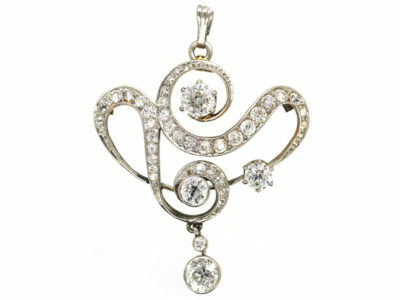 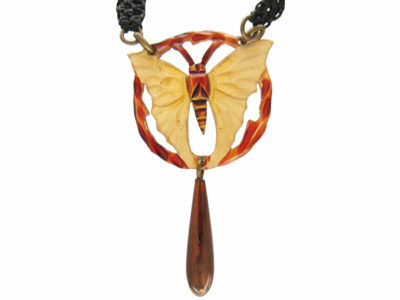 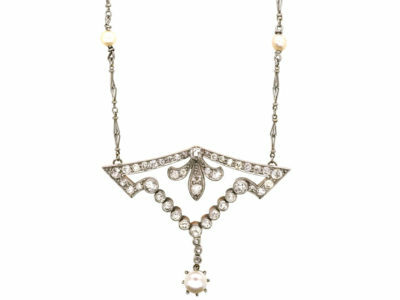 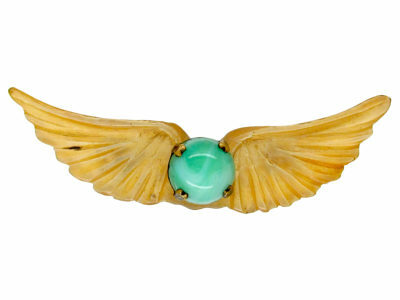 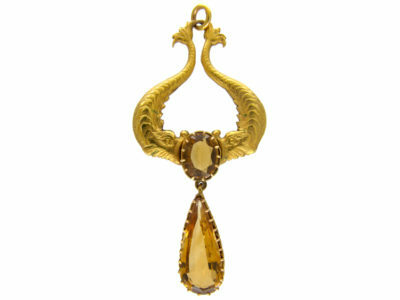 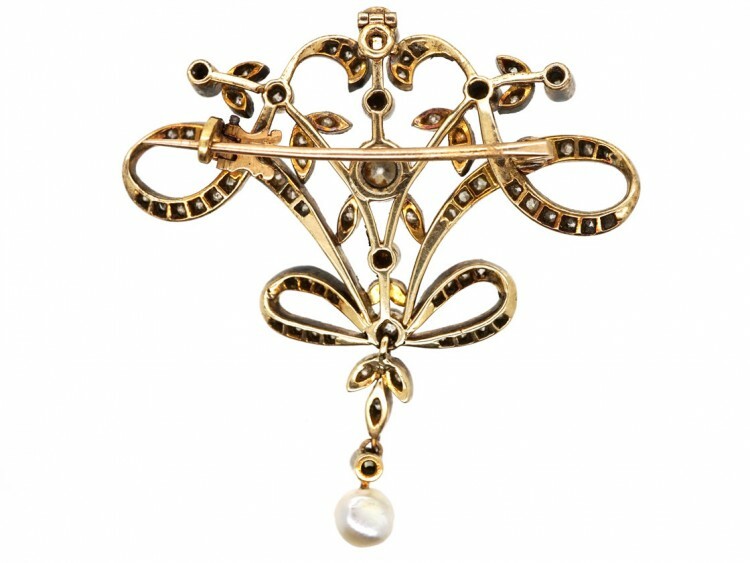 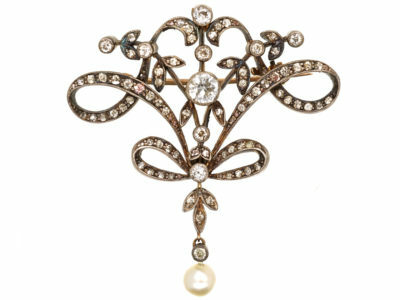 A wonderful Art Nouveau pendant and brooch. 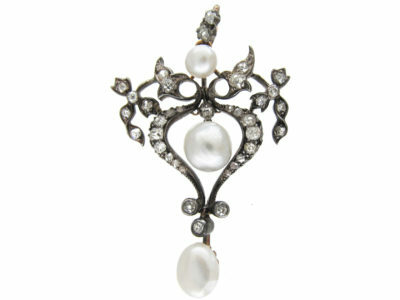 It was made circa 1890-1910 and is in the style that was typical of the period. 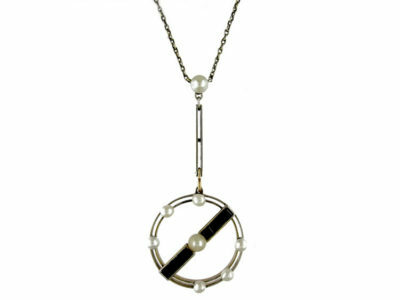 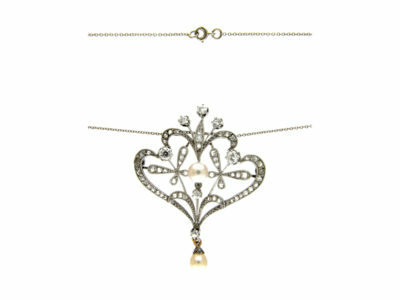 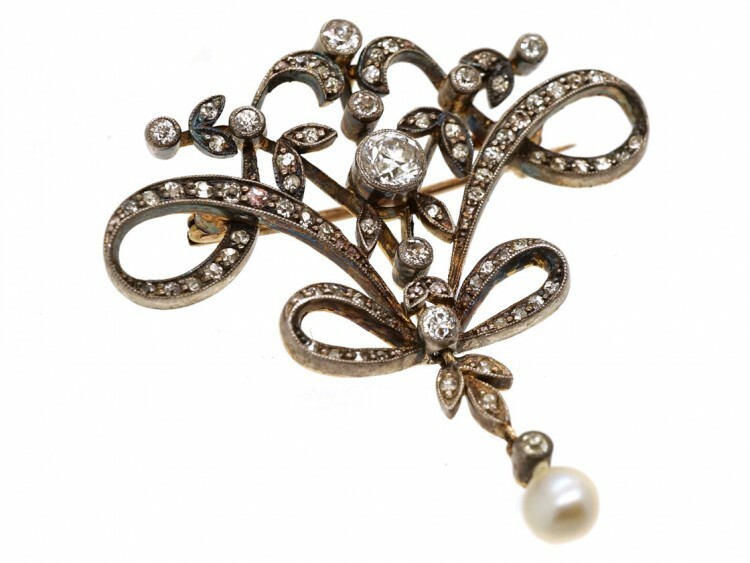 It is a light and flowing look with a continuous ribbon and bow design with leaves and a drop holding a natural pearl. 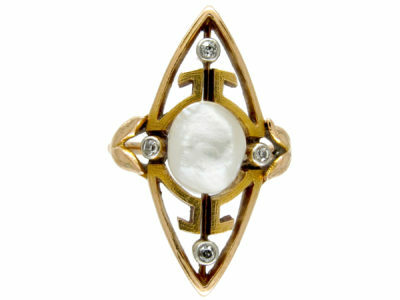 The front is platinum and the back is 15ct gold. 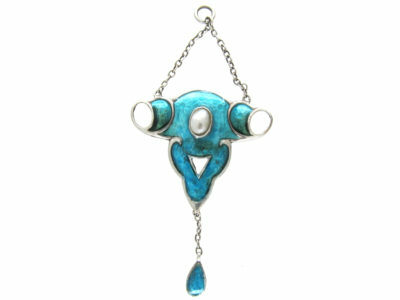 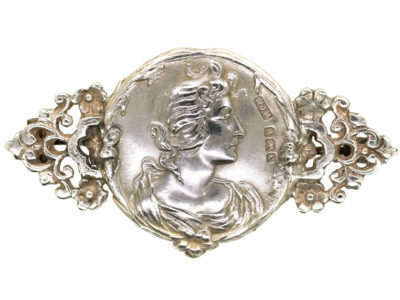 It has a brooch fitting and also a pendant fitting that hinges down when not needed.